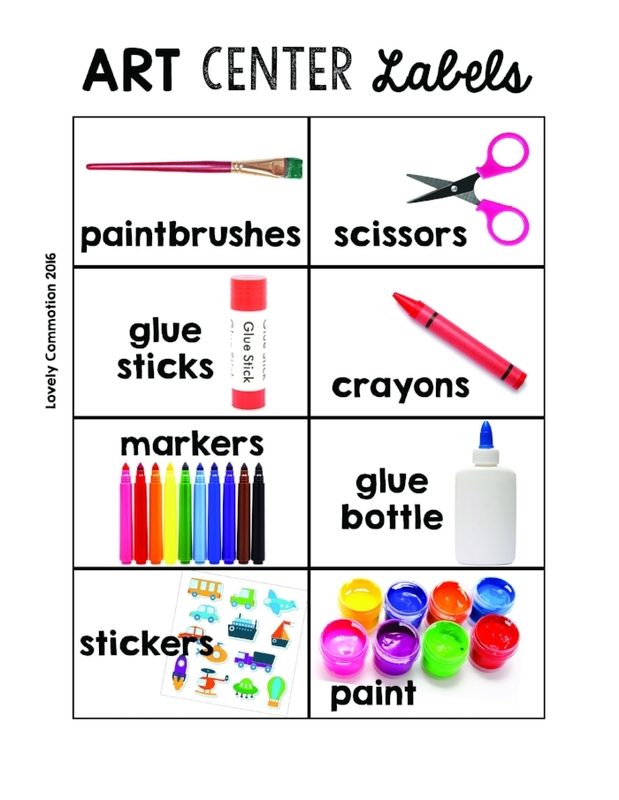 The art center has so many supplies.... crayons, glue, scissors, stencils, stickers, paper.... well, the list goes on and on! In the past, I placed my art center materials in small organizers on top of the table. But, with so many supplies taking up the table space, my students struggled to find enough room to spread out and create! Plus, I hated the dis-organization of it all. Yes, I had labels on most everything...but things just seemed to get thrown in the tubs and not organized during clean up time. So, when I saw a rolling cart full of beautiful rainbow drawers at my local Sam's Club, I knew exactly what I wanted to use it for! Hey Art Center...get ready to get organized! Here is my new art center storage! I love the organization of it all! So...I guess the real question is - does it stay organized? Well, at clean up time I find my students really trying to put the items in the correct drawer. Since the drawers are clearly labeled and there is enough room for all supplies it makes it easy (and maybe kind of fun) to put things away. Although, you can see in the photo above - the drawer with the small pieces to glue is a bit of a mess. I've just had to let it go... sequins don't like to stay put. I mean...they are in the drawer at least! So, I would say this drawer full of art supplies has been a big benefit to our art center. Not only has organization and clean up of supplies been more successful, but I love how my students have the whole table to create! - Art Center Labels: With all the labels seen above + an editable Adobe Reader file to add your own photos and wording! *Note: We also have an easel in our art center where I bring in painting of various types. 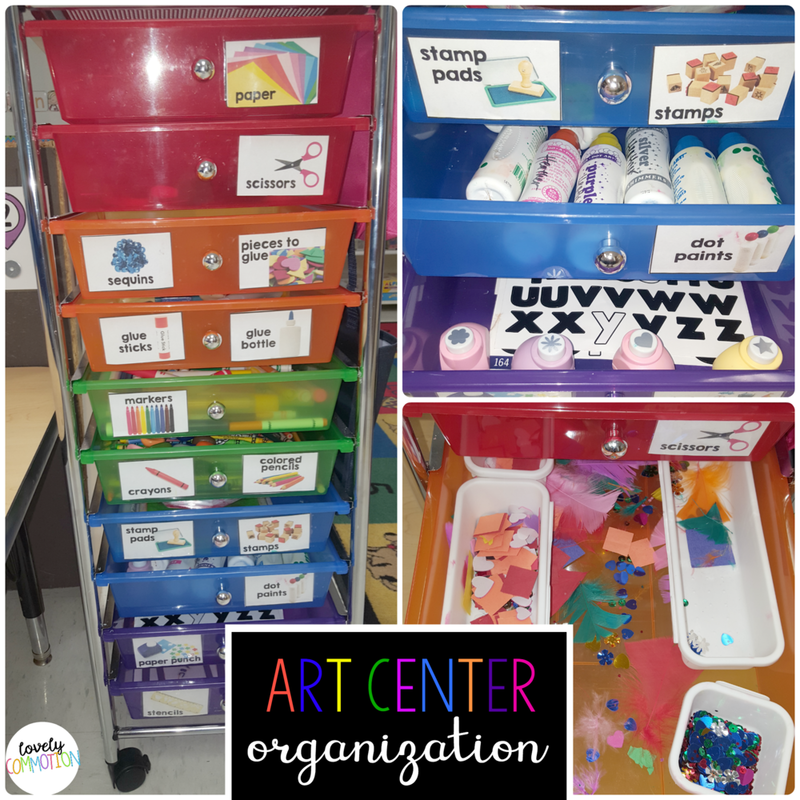 I hope you are inspired to get your art center organized!